Protect Yourself. Vital Information About Hiring a Locksmith. 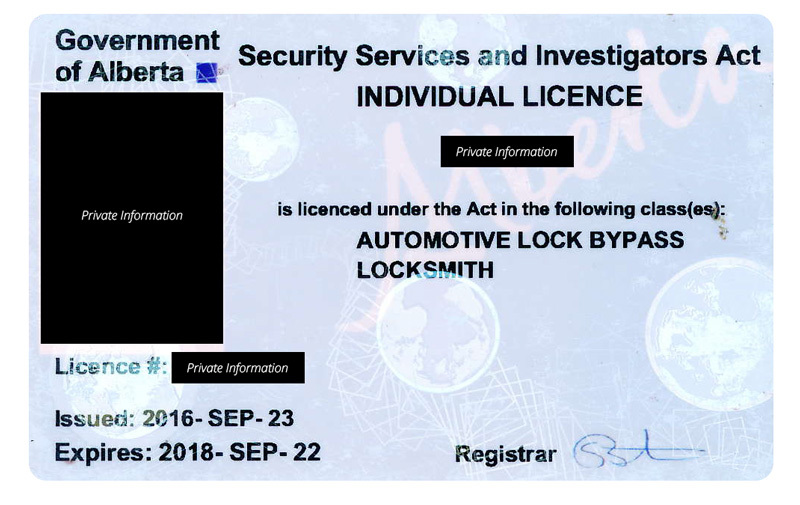 Any individual or business providing full locksmith services must hold a License under the Criminal Code of Canada. Under the Security Services and Investigators Act, individuals working in the security and locksmith services must be licensed. Working without a license is an offense under the act and can result in fines or court appearances. More importantly for you as a home and business owner, you want to trust that you are working with a licensed and registered locksmith professional. 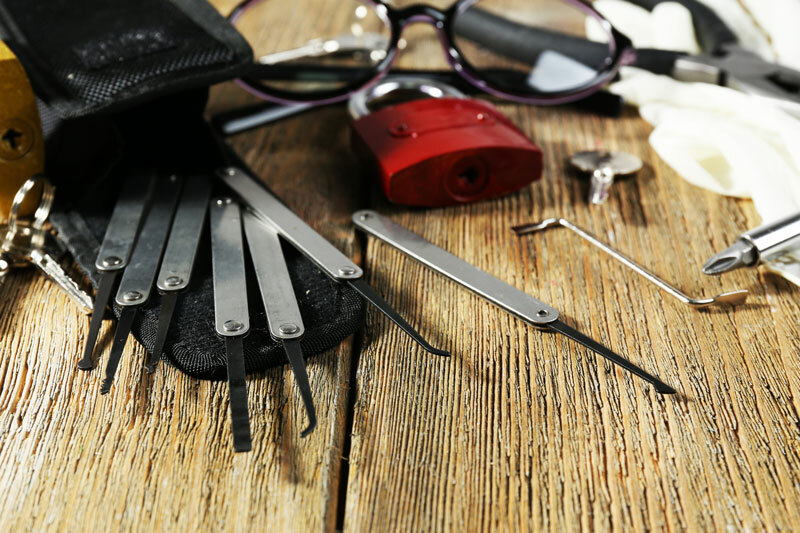 We are happy to produce the documentation prior to performing any work so you can rest assured you are working with a qualified and professional locksmith. 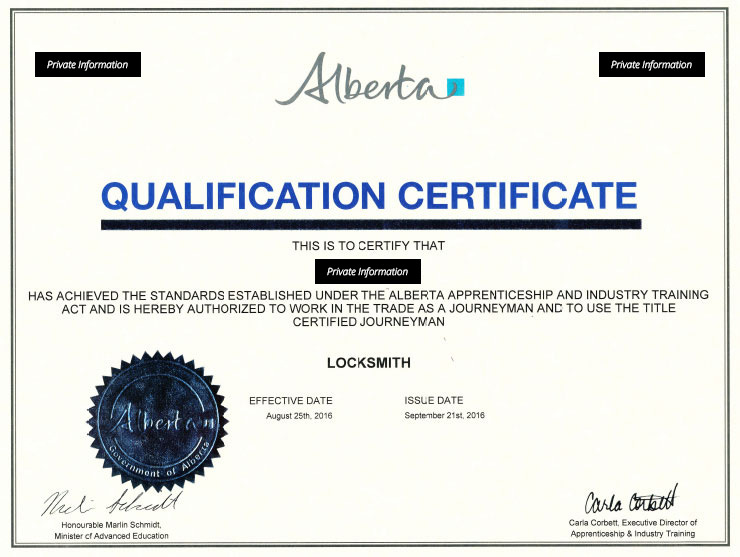 GT Lock & Key employees possess and hold a Government of Alberta registered Locksmith License. GT Lock & Key’s technicians are Certified Journeyman Locksmiths with over 10,000 hours of on-site training and experience. Calgary homeowners and business owners can attest to the superb and professional locksmith services we have provided throughout the years. When deciding whom to trust your business and personal home security with, ensure that you are working with a certified locksmith.